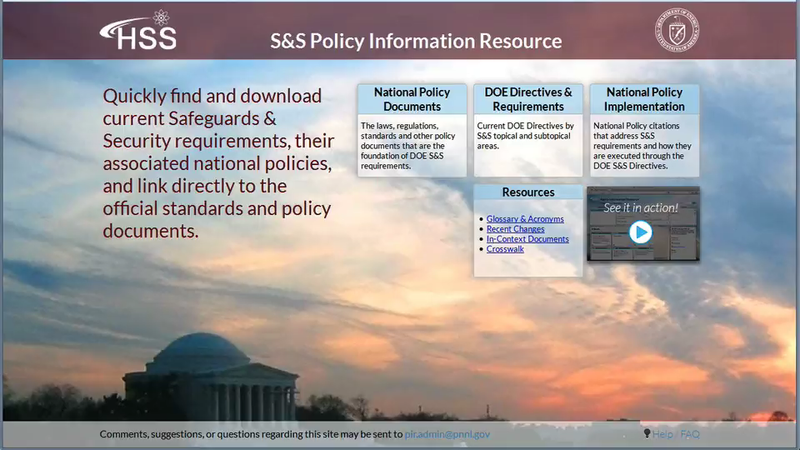 Quickly find and download current Safeguards & Security requirements, their associated national policies, and link directly to the official standards and policy documents. Choose a category below that best matches the type of information you are looking for. Find laws, regulations, standards and reference documents by topic, subtopic, or category. Find the actions to be taken by DOE/NNSA employees or contractors, and view their associated national drivers. Find text (requirements) from policy documents and view the associated DOE requirement(s). Also find national requirements not duplicated in DOE policy.